“Check the juicy notes – you can taste citrus, orange, lemon, green apple, flecks of caramel – the taste has complex undertones and the beautiful aspect is that it is so juicy and sweet.” I am in Coorg at the Tata Plantation amidst verdant greenery and sitting in a formal coffee appreciation session listening in rapt attention to Asia’s first woman coffee expert Sunalini Menon. And the coffee she is describing is no ordinary one. This is a microlot of coffee from Block 19 of the Nullore Estate of the Tata Coffee plantations that was selected for the Starbucks Reserve Program and Sunalini along with the team was responsible for ensuring that it made it to shelves of the store in Seattle where it sold out like hot cakes! However, when she went for the interview she was surprised that all others were only men and came with a lot of experience as well. “I thought I probably do not stand a chance but I got through the interview. Still the panel was sceptical but H.G.V. Reddy the then board chairman said I was eligible as I was qualified and being a woman must not stop me from doing the job. Soon after I realised that I was leading a team and the men reporting to me were far older too who found it hard to take orders and actually struck work. At one point I was reduced to tears but my boss told me that I had to first learn my subject well and I did exactly that as I went from desk to desk meeting people and soon things started to change. This camaraderie helped and soon I became one of them.” The Board sent her to be trained in Switzerland and Germany and her 20 year old journey with the Board meant she gained wholesome experience in quality evaluator, trainer, coffee blender and jury for coffee competitions too. After working for 20 years at the Coffee Board, Sunalini moved on to the private sector and soon started “Coffeelab” in Bengaluru not just to up her coffee tasting skills but also work on issues related to coffee quality. As a frequent traveller to different coffee growing regions, Sunalini also works with farmers and says that each experience helps her sharpen her craft and learn about new coffee varietals. This is also why she has done both the Q Arabica and Q Robusta grader licensing programmes. “I took my Q Arabica grader course and exam in Ethiopia, the birthplace for Arabica coffee, where I was pitted against Ethiopians, who are fabulous cuppers. Also I did my ‘Q Robusta (R Grader) course in Uganda, the birthplace for robusta coffee and am fortunate I did both these courses in these locations. Also I learnt so much about the undertones and flavours in coffee that we may not see in India like nuances of red currant and black currant.” Sunalini is inspired by Erna Knutsen who introduced the concept of speciality coffee to the world who also went through a lot being a woman in the world of coffee. “The other person I am inspired by is my guru Dr Ernesto Illy, who spotted me at an expo manning a stall by the Indian Coffee Board and called me to his office and taught me so much about coffee and today I teach in the Ernesto Illy Foundation’s Master course in Coffee Economics and Science.” With so many feathers on her overcrowded cap, she has set her sights on more! 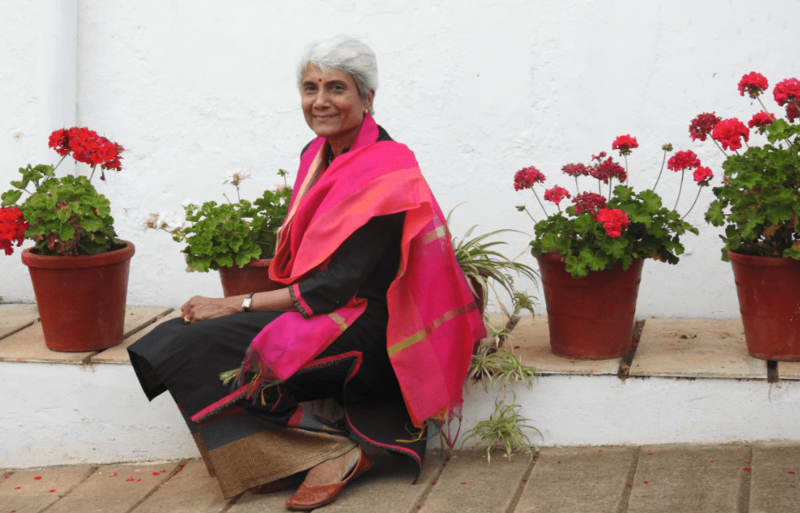 “I really want to launch a super speciality Indian coffee to the world and I am working with six farmers very closely for this and I hope to launch this coffee which will be the most sought after coffee in the world.” Sunalini’s zest for life is just like the coffee she works with – full of life and flavours, with twists and turns that make the journey fruitful in more ways than one! This story appeared in the Mar 25, 2017 issue of Deccan Herald Living, She here.